Two problems facing the tech industry at the moment are the gender imbalance issues and the bad press around initial coin offerings (ICOs). However, Paragon Coin CEO Jessica VerSteeg has learned that ICOs are actually restoring that balance and giving women the power to remove limitations and steer clear of biased funding. In today’s podcast, Jessica talks about how refreshing it was launching her own ICO and discovering that the whitepaper and code mattered more than the gender of the CEO. ICOs cut through the bias that she experienced with venture capital firms and enabled her to bring the Paragon seed to sell solution to life. 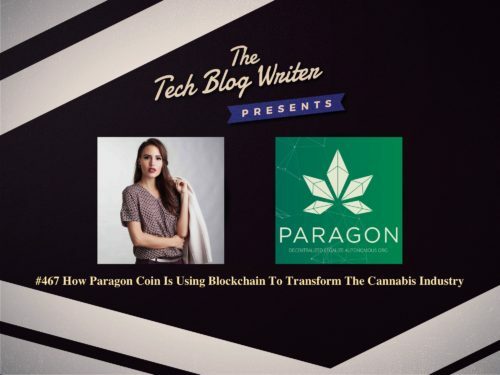 We also discuss how Paragon Coin is using blockchain technology and a cryptocurrency to not only transform the cannabis industry but to also deliver much-needed trust and transparency. But, how did she get here? Jessica VerSteeg has enjoyed a successful career as a fashion and print model for nearly ten years. During her time as a model, she also was also crowned Miss Iowa US 2014 and placed in the top 10 at the Miss US pageant. After losing someone close to her due to an accidental overdose of painkillers, she decided to dedicate herself to changing the perception of alternative painkillers like cannabis. She then founded AuBox, an upscale medical marijuana delivery service. But the laws and regulations from state to state and county to county are a complex web to deal with causing the cannabis industry to be fragmented. Jessica wants to help bring back the trust and respect the cannabis industry deserves, so she decided to build Paragon and focused on providing a blockchain platform that will enable the cannabis industry to become transparent and stay compliant.